1. 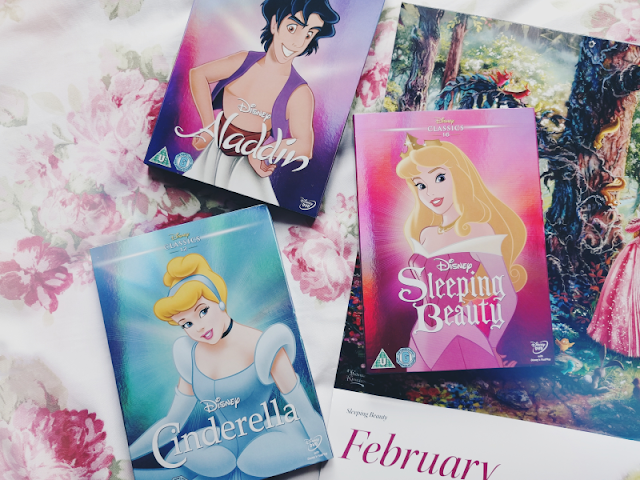 Sleeping Beauty - It had been a little while since I'd last seen this film and oh my gosh. I forgot just how much I love it! The art in particular is so stunning. 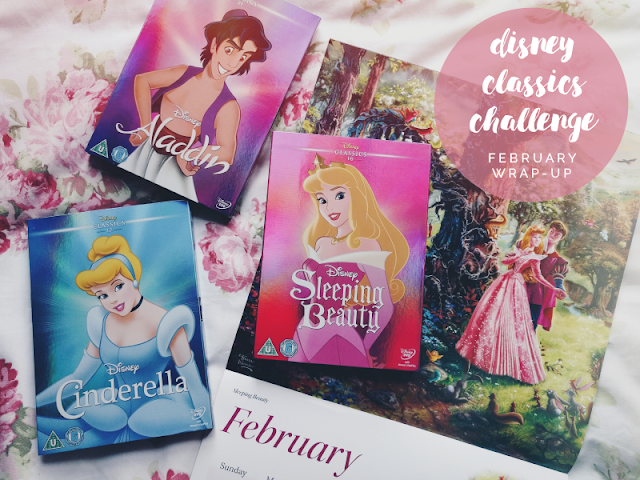 I think it's probably my favourite Disney film in terms of animation! One thing that completely took me back with this re-watch however was that I've somehow never noticed before that Prince Phillip has literally zero dialogue in the second half of the film... He doesn't even grunt whilst fighting Maleificent?! I know most people are sick of Disney's current stream of live action films but I'd love to see a live action version of Sleeping Beauty so they could embellish Phillip's character a little more like they did with Kit in the 2015 Cinderella! He's such a babe, he totally deserves more! 2. Cinderella - Another film that I'd not seen in a while! Everyone is going to hate me for saying this but with my blog name, it's probably not surprising! I have to admit that while I still love the animated film, the 2015 live action film is my favourite of the two. The costumes, the message of the film... The characters and story are just so much more fleshed out as well. I swear I really am the worst Disney fan haha! 3. Aladdin - I don't think I could ever get sick of Aladdin! Watching these Princess films however has given me major hair jealousy. I probably spent more time than I'd like to admit just watching Jasmine's beautiful hair haha! If I could have three wishes from a genie myself, one of them would have to be Disney Princess hair! I'm not sure how many films I'll be able to watch in March as I may be changing jobs/moving up the country later this month so I'd better not make any promises of how many films I'm going to watch but I'll try my best! See you in a month for my next update!